Being charged with any crime is devastating, but domestic violence accusations carry an especially difficult social stigma. Once they’ve been arrested, defendants often find themselves on their own without help or support. 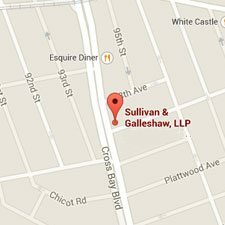 The domestic violence attorneys of Sullivan & Galleshaw are here to provide that support and counsel you throughout the legal process. 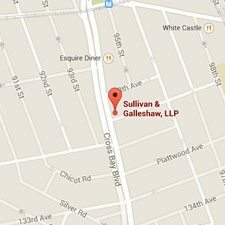 At Sullivan & Galleshaw, our legal team is equipped with more than X years of practical experience representing New York City residents facing a wide variety of misdemeanor and felony charges. We work throughout all five boroughs and the surrounding metropolitan area, and offer free, no-obligation consultations for new clients. To start discussing your matter in private, call our law offices at (800) 730-0135. We will never share your confidential information. The phrase “charged with domestic violence” is misleading, because there is no such individual crime. This is a broad term encompassing a variety of crimes which can involve domestic violence. Contrary to popular belief, domestic violence does not always have to mean physical violence against a wife, husband, boyfriend, or girlfriend. The New York Unified Court System uses the wider definition of “physical, psychological, sexual, economic and emotional abuse, perpetrated by one person against a family or household member, with the goal of establishing or maintaining power and control over the victim.” In other words, no romantic relationship is necessary: grandparents, parents, children, siblings, and other relatives can all be criminally charged. Statute – Numerous assault crimes are found under NY Penal Law §120. Defintion – Involves physically injuring a victim. The severity of the charges depends on factors like whether the defendant used a weapon, how badly the victim was hurt, and the age difference between victim and assailant. Statute – NY Penal Law §120.13-15, §120.18. Definition – Involves “intentionally plac[ing] or attempt[ing] to place another person in fear of death, imminent serious physical injury or physical injury. Statute – NY Penal Law §130.53-65. Definition – Involves sexual contact without the victim’s consent when the victim is a child or teenager. Statute – NY Penal Law §130.20. Definition – Involves sexual contact without the victim’s consent. Statute – NY Penal Law §120.45-60. Definition – Involves behavior with “no legitimate purpose” which is both (1) “directed at a specific person,” and (2) intended to put that person in fear for their own safety, a loved one’s safety, or their career. Statute – NY Penal Law §121.12-13. Definition – Involves choking a victim or cutting off their blood circulation, resulting in injury, impairment, or unconsciousness. The exact fines and penalties you face in the event of a conviction depend on the specific crime you are being charged with. 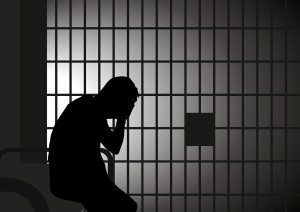 While all of the above offenses can be deemed acts of domestic violence where the relationship between defendant and victim fits the justice system’s definition, some are treated as low-level misdemeanors while others can be categorized as serious violent felonies. With the exception of certain drug charges, all New York felonies are subject to the same maximum fine: either $5,000 or double the amount the defendant gained by committing the crime, whichever amount is larger. If the defendant did not gain any money, the judge would impose the fixed $5,000 fine. Note there are no Class A Nonviolent Felony offenses in New York. If you or someone you love has been charged with any of these crimes, you need a skilled and experienced criminal defense attorney on your side in court. 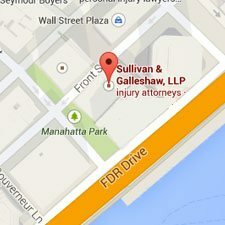 Call the domestic violence lawyers of Sullivan & Galleshaw at (800) 730-0135 today to start exploring your legal options in a free and confidential case evaluation.